Coming in at roughly one ‘Scot’s Mile’, The Royal Mile is the name given to this cobbled street that forms the route from Holyrood Palace up to Edinburgh Castle. Lined with shops, including those obligatory how-many-things-can-you-cover-in-tartan souvenir ones, there are also scores of friendly pubs and bars – most are front and centre but a few are hidden away and just waiting to be discovered. Monteith’s is a boutique cocktail bar and kitchen that prides itself on serving innovative and interesting cocktails. Both classics and in-house creations like the ‘Speyside Treacle’ are carefully crafted, and the lunch and dinner menus also go way above what you might expect for such a touristy artery through the city. 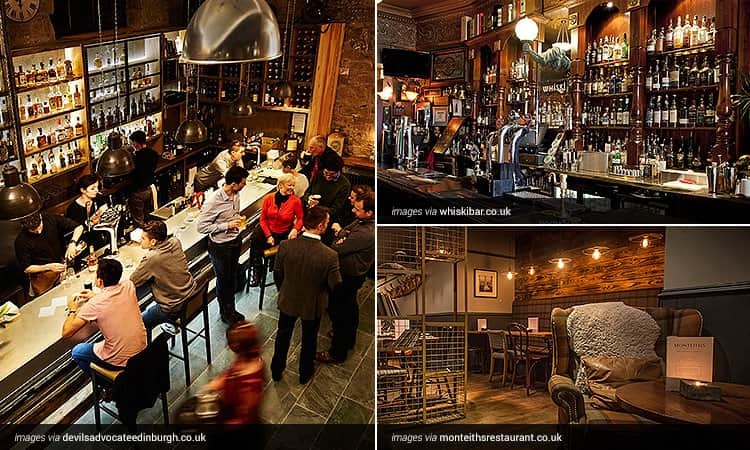 Whiski Bar is, unsurprisingly, a great place to sample a glass of the amber nectar that Scotland is so famous for – though you might need to enlist the help of the knowledgeable staff to choose one of the 300+ available. A quick duck through Advocate’s Close (if you can spot the archway entrance) will lead you to Devil’s Advocate, a stylish bar with award-winning bartenders. Just mind your head as you step back onto the Mile after a couple of speciality cocktails. This trio boast enough brilliant spots to be entire nights out in their own right, but sitting snugly next to each other as they do – we’ve combined them to create by far the most eclectic area on our list. With a balcony perfect for people watching and a relaxed, shabby-chic atmosphere that lends itself perfectly to starting off an Edinburgh night out, Dragonfly is an unpretentious cocktail bar that has steadily garnered respect since its 2004 inception and now has one of the best reputations in the city. Other notable watering holes on the famous Grassmarket include The Fiddler’s Arms, offering live music and traditional cuisine in the shadow of Edinburgh Castle, and The Last Drop - an atmospheric pub so named for its sinister proximity to the site of the city’s main gallows, where public hangings attracted huge crowds in the 18th century. Cowgate, a low-lying street lined with tall terraces that give it a sheltered, hidden feel, is bristling with great pubs and buzzing live music venues. Given over to the Fringe Festival in August, Sneaky Pete’s is a compact gig spot that regularly hosts raucous club nights on a Saturday. After opening their first bar in Aberdeen, now-infamous ‘craft beer revolutionaries’ Brewdog chose Cowgate as the location for their second site in 2011. They specialise in delicious pizzas as well as beer – perfect for lining the stomach before carrying on down this eclectic avenue. With a huge, routinely-rammed courtyard, The Three Sisters is famous as a stag and hen hotspot and even features a behind-the-scenes karaoke pod for that ear-splitting midnight rendition of Total Eclipse of the Heart. Running perpendicular over the top of Cowgate, George IV Bridge is home to a number of important public buildings as well as some fabulous nightlife haunts. Villager is a chic lounge bar that specialises in sumptuous cocktails like the ‘Lychee Rose Martini’ served in quirky, unpretentious surroundings. For a bar with a difference, try Frankenstein - a three-tiered monster of a bar with theming based around Mary Shelley’s infamous creature running throughout. Dotted with some of Edinburgh’s most important theatres and concert halls, the trendy West End is famous for its architectural beauty and impressive rows of Georgian terraced houses. Encompassing the Haymarket area, this part of the Scottish capital is bristling with cool cocktail bars and buzzing boutique spots of all shapes and sizes. Gin lovers in your group might have to be dragged kicking and screaming out of Heads and Tales. 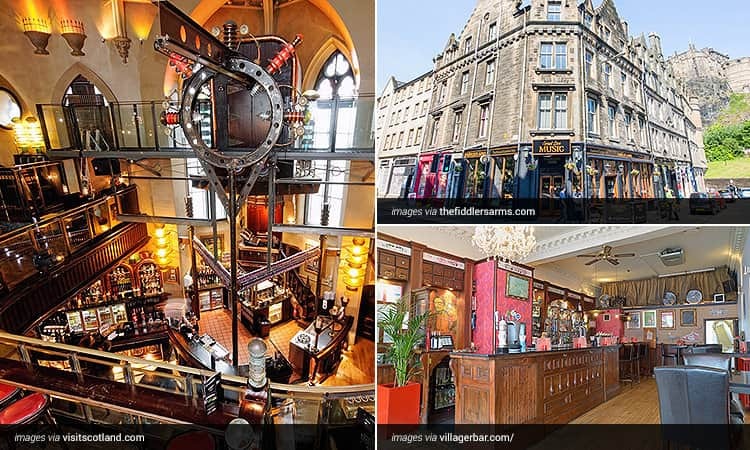 The two stills producing ‘Edinburgh Gin’ (named Flora and Caledonia, apparently) in this extremely fashionable venue present an unusual opportunity to see gin distilling whilst you drink it. 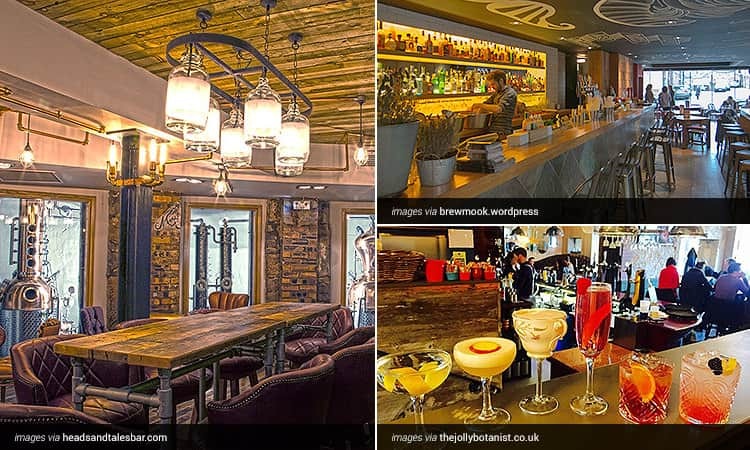 Another popular gin haunt is The Jolly Botanist - as famous for its artisan sharing boards as it is for its juniper juice. Sygn Bar and Kitchen is tucked away on a quiet corner of Charlotte Lane and is cocktail heaven. We don’t think you can go wrong with a bar menu that starts with a page of delicious cocktails for just £5 each and continues through to ‘boozy milkshakes’. The bright, open layout also makes it perfect for groups. Found in the north-east of Edinburgh, Leith is a captivating waterside suburb on the coast of the Firth of Forth. Sympathetically regenerated after a mid-20th century decline, this area now has some of the smartest apartments in the city as well as some extremely trendy bars, and two of the city’s four Michelin-starred restaurants. No trip to Leith would be complete without a signature teapot cocktail at Roseleaf, a delightfully kitsch family-run cafe-bar located just a few minutes’ walk from the Commercial Quay and its handsome fountains. There's a traditionally warm, local welcome for all at The Cameo, where you and your group can ensconce yourselves in one of the many cosy rooms. 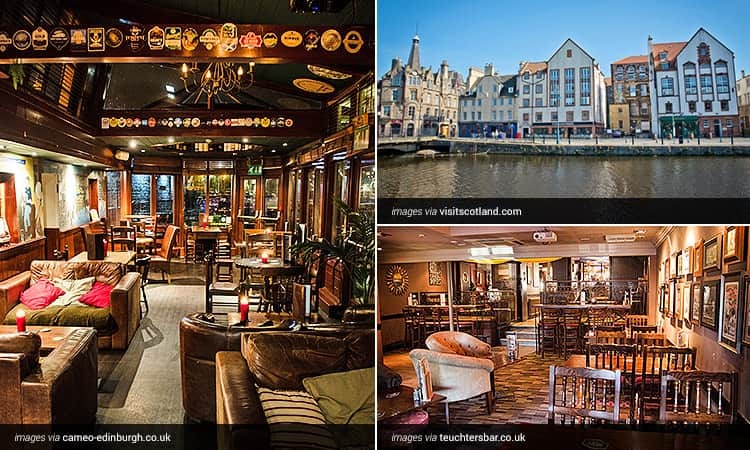 The former waiting room for the Leith to Aberdeen steamboat ferry - Teuchters Landing - has a perfect location on the shorefront and combines inviting sofas and wood-panelled walls, with impressive wine and whisky lists. George Street is the foremost shopping street for smaller, stylish outlets and nicely compliments the huge flagship and departments stores of the parallel Princes Street. You and the girls will inevitably find yourselves here perusing the racks and shelves during the day, but should you return after dark, you’ll find some of the trendiest and busiest bars and clubs that this beautiful old city has to offer. 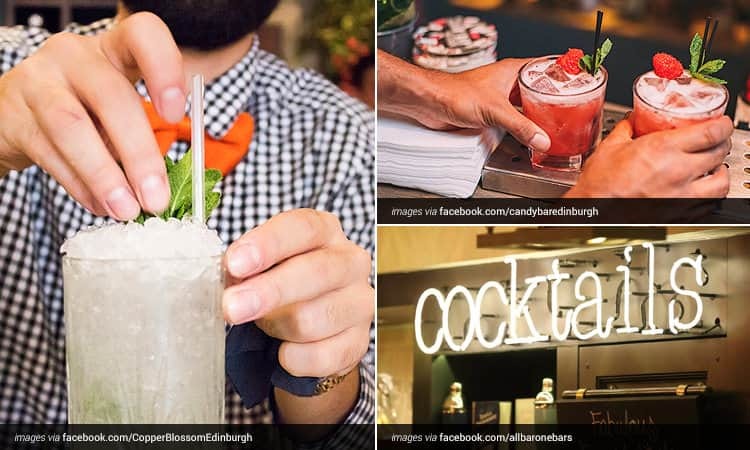 Candy Bar and Kitchen advertises itself at the ‘best fun on George Street’ and after a glance over their fantastic menu whilst stood in front of their modern, curving bar you might tend to agree. Copper Blossom is an achingly cool cocktail bar that manages to be a light-filled, airy space despite its basement digs thanks to subterranean floor-to-ceiling windows. For extending the night out well into the next day, George Street is also armed with underground upmarket clubs Shanghai and Opal Lounge, where you and the girls will feel like true VIPs. Also calling this sophisticated street home are All Bar One, a stylish city bar, and Supercube – a modern karaoke bar with seven different private rooms to suit all group sizes. 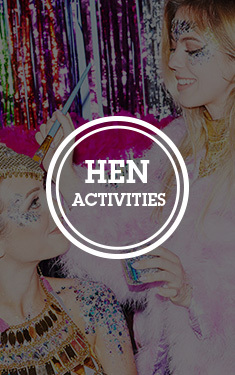 With all of these brilliant bars, restaurants and nightclubs to explore when you’re there, and our own expansive collection of central accommodation options and exciting activities available, Edinburgh is hugely popular with hen groups year-round. Check out what we have to offer in Edinburgh and place an enquiry.